PlanetSpace Inc – which lost out on NASA’s 3.5 billion dollar Commercial Resupply Services (CRS) contract – have filed an official protest. Last month, SpaceX (Space Exploration Technologies Corp) and Orbital were awarded the contract to resupply the International Space Station (ISS) during the transition between Shuttle and Orion. The official protest comes shortly after all three companies were debriefed by NASA’s Source Evaluation Board (SEB) on the outcome of the award – which opted to hand Orbital 54 percent of the contract, and SpaceX 46 percent, with Planetspace missing out. Planetspace’s team of legal teams have submitted a protest to the Government Accountability Office (GAO) – which is the audit, evaluation, and investigative arm of the United States Congress, citing 19 separate legal issues. 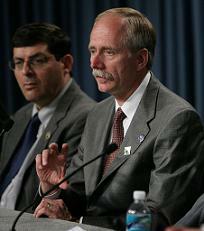 Drawing exception to multiple items in the award, Planetspace’s main problem relates to what they feel was NASA Associate Administrator for Space Operations Bill Gerstenmaier’s dilution of the findings presented by the SEB in relation to Planetspace’s bid, as noted in the 21 page Source Selection Statement (available in full on L2). “On December 15, 2008, I met with the members of the Source Evaluation Board (SEB) appointed to evaluate proposals for the Commercial Resupply Services (CRS) Contract Solicitation,” wrote Gerstenmaier in an opening overview of the award. “CRS is a Firm-Fixed Price (FFP), Commercial, Indefinite Delivery Indefinite Quantity (IDIQ) procurement. This acquisition is a multiple award contract for a minimum guarantee dollar value for 20 metric tons (MT) of upmass. “The scope of the CRS effort includes the following tasks: the delivery of pressurized and/or unpressurized cargo to the International Space Station and the disposal of cargo or return of cargo to NASA from the International Space Station. In addition, there are Non-Standard Services and Special Task Assignments and Studies that can be ordered to support the primary Standard Resupply Service. “On April 14, 2008, the contracting officer issued a Request for Proposal (RFP) with a past performance proposal receipt date of May 27, 2008, and technical and price proposals receipt date of June 30, 2008. Five offerors responded to the Past Performance due date; however, only three offerors submitted the Offer, Mission Suitability, and Price volumes. “The fully respondent offeror’s are Orbital Sciences Corporation, PlanetSpace Incorporated and Space Exploration Technologies (SpaceX) Corporation. “RFP Section VII, Evaluation, states that Mission Suitability is more important than Price. It also States, under the Mission Suitability heading of this Section, that NASA will consider a contractor that provides the full range of services more favorably. This full range is defined in the RFP as internal and external upmass, disposal downmass and return downmass. The 1,000 point value was divided into three subfactors: Technical Approach, Management Plan, and Small Business Utilization. Mission Suitability was also evaluated and rated by percentage rankings. “The SEB evaluated each proposal on the basis of Mission Suitability and Price in accordance with the criteria in the solicitation. On August 29, 2008, the Contracting Officer determined that all three offerors’ proposals should fall within the competitive range. I concurred with the Contracting Officer’s determination,” noted Mr Gerstenmaier. “Accordingly, the Board invited all three offerors to participate in written and oral discussions. and each was given the opportunity to correct, clarify, substantiate, or confirm the contents of its respective proposal and to submit a final proposal revision (FPR), as well as a signed model contract reflecting the offeror’s intent to be bound contractually. The scores resulted in Planetspace ‘beating’ Orbital, with SpaceX listed first. 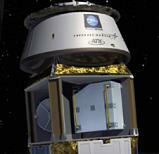 However, that only proved to be part of the story, as Planetspace lost its position in the final evaluation. “SEB Findings: The SEB gave the Orbital Sciences Corporation proposal an overall Mission Suitability score of 796 points out of the maximum 1000 points. On the subfactor level Orbital’s proposal was determined to be “Very Good” in Technical Approach, “Very Good” in Management Approach, and “Good” for Small Business Utilization. “The SEB gave the PlanetSpace proposal an overall Mission Suitability score 827 points out of a maximum 1000 points. On the subfactor level, PlanetSpace’s proposal was determined to be “Very Good” in Technical Approach, “Very Good” in Management Approach, and “Very Good” for Small Business Utilization. “Orbital’s significant strength was within one of four technical subfactors, ISS Resupply Mission Performance Plan,” noted the document. “This significant strength noted Orbital’s detailed CRS operational concept which clearly demonstrated their comprehension of the scope, content, and complexity of resources required to execute individual missions and integrate multiple vehicles simultaneously to meet NASA’s annual task order demand. 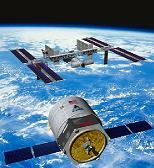 “Orbital received all three significant strengths in one of the three subfactors, Company Information. Orbital received a significant strength for its approach to teaming with highly relevant companies possessing complementary expertise in development, integration and certification,” added the document. “SpaceX’s significant strengths were within one of the four technical subfactors – System Capabilities and Summary of Performance,” the evaluation noted. “The first significant strength was SpaceX’s approach to an in-house supply chain that avoids outsourcing lead times, reduces external manufacturing delays, and enables effective corrective action response. “By maintaining multi-mission critical path production in-house and avoiding single source dependencies, SpaceX proposed a very sound approach that greatly enhances schedule efficiencies and reduces overall technical risk to ISS cargo supply. “The second significant strength was launch vehicle safety and robustness. The Falcon 9 launch vehicle design exceeds requirements by providing a structural factor of safety of 1.4 (versus industry standard of 1.25) which provides added robustness against process and material variations and unexpected flight loads. “The Falcon 9 also features a dual redundant avionics system and a first stage engine-out capability. These design features which exceed industry standards demonstrate an extremely sound design solution. In the Management Approach subfactor, SpaceX’s proposal had one significant strength, four strengths, two weaknesses, no significant weaknesses and no deficiencies for a rating of Very Good. SpaceX’s Small Business Utilization subfactor had one significant strength, no strengths, no weaknesses, no significant weaknesses and no deficiencies for a rating of Very Good. “PlanetSpace’s significant strengths were across three of the four technical subfactors – System Capabilities and Summary of Performance (Past Performance), ISS Integration and Demonstration, and ISS Resupply Mission Performance Plan. The first significant strength was past performance of the PlanetSpace team’s key personnel and subcontractors in launch and orbital vehicle development, ISS mission and cargo integration, and flight product development. “Past customer inputs on relevant contracts rated the major subcontractors proposed by PlanetSpace as outstanding, with some ratings of very good,” the evaluations found. “The second significant strength was for a comprehensive plan for ISS Integration that utilizes sound processes and existing and planned facilities which reduces schedule and technical risk and demonstrates a realistic approach to interface testing, verification closure and procedures development. “The third significant strength was for a comprehensive description of analytical integration and operational concepts, demonstrating detailed understanding of the interrelationships and complexity of vehicle, cargo, and mission integration processes. In the Management Approach subfactor, PlanetSpace’s proposal had three significant strengths, four strengths, five weaknesses, no significant weaknesses and no deficiencies for a rating of “Very Good”, with the company receiving significant strengths in two of the three subfactors, listed as Company Information and Safety and Mission Assurance. “The first significant strength was for past performance of the PlanetSpace subcontractors’ management teams and key personnel,” added the evaluation. “Customers noted a long history of accomplishments and successes by the PlanetSpace subcontractors on highly relevant contracts, such as launch vehicle components and manned spacecraft development, sustaining, processing and operations. On the “Selection Decision”, the highly regarded Mr Gerstenmaier notes that he evaluated and consulted over the SEB findings, in order to ensure the best value for NASA. “During the presentation, I questioned the SEB on the findings presented and carefully considered the detailed findings the SEB presented,” he noted. “I solicited and considered the views of key senior personnel at NASA Headquarters and Center representatives during the executive session after the SEB’s presentation. “I believed the SEB had done a thorough job of reviewing the proposals, identifying significant discriminators, explaining how it believed the discriminators would affect performance, and evaluating the proposals without comparing proposals. “It was my responsibility to compare the proposals using those SEB findings I agreed with and which I found to be discriminators for purposes of selection. My duties also required me to use my independent judgment to determine how the SEB findings identified as discriminators would be used for purposes of selection. Mr Gerstenmaier’s Evaluation of SEB’s Orbital Evaluation. There was also agreement that Orbital had no “significant weaknesses”, with the “one weakness” relating to “certain engines” on their Taurus II launch vehicle. “During written discussions and in the FPR, Orbital satisfied concerns about its proposed use of certain engines; however, a new concern was raised regarding the Government of Russia’s approval to use these engines on a Taurus II,” noted Mr Gerstenmaier. “I questioned whether the need to obtain approval from the Russian Government would be a discriminator for purposes of selection. The SEB finding that Orbital’s schedule for Service Module Integration and Passive Common Berthing Mechanism development was deemed aggressive was also evaluated. Mr Gerstenmaier also questioned the SEB finding that the proposed double mid-deck locker did not appear to meet the 53.6 kg requirement. Mr Gerstenmaier’s Evaluation of SEB’s SpaceX Evaluation. Mr Gerstenmaier review of the findings on SpaceX agreed with the SEB, regarding the “significant strengths of the technical approach for this proposal,” with praise for the Falcon 9 launch vehicle. 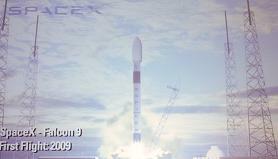 “Falcon 9 launch vehicle design exceeded requirements by providing higher structural margin, first stage engine-out capability, and dual string avionics; and its proposed architecture that would provide a full range of vehicle services in 2010 coupled with the capability to deliver and return a large majority of requested cargo from 2010 through 2015,” noted Mr Gerstenmaier. “These findings revealed the design of the Falcon 9 was comprehensive in scope, content, and complexity. I was also impressed this was the only proposal that offered to provide a full range of vehicle services in 2010. Mr Gerstenmaier’s Evaluation of SEB’s Planetspace Evaluation. Planetspace’s overview by Mr Gerstenmaier – by far the largest write up – is where the company will have drawn a large part of their exceptions to the point of protest. It opened with a negative point in the opening paragraph. “I noticed this proposal had been substantially rewritten,” which points towards the initial presentations from Planetspace to be inferior to the other bidding companies. The second paragraph continues to dilute the SEB findings and the strength of Planetspace’s bid, relating to the “first significant strength” for excellent past performance based upon numerous highly relevant NASA and Department of Defence contracts, which the SEB concluded would greatly enhance the likelihood of successful performance. “The SEB indicated this significant strength was based upon the past performance of subcontractors and not on PlanetSpace’s experience,” noted Mr Gerstenmaier. “The SEB cannot give PlanetSpace negative Past Performance, because it had little or no relevant experience, itself, as a prime contractor. “I concurred the SEB could not give an offeror a negative evaluation because it had little or no Past Performance; however, I disagreed with the SEB assessment that this finding was a significant strength. While Mr Gerstenmaier agreed with the SEB’s finding of a “significant strength” for Planetspace’s comprehensive plan for ISS integration that utilized existing ISS processes in combination with one of the PlanetSpace subcontractor’s high fidelity test facilities, concerns were raised with the company’s use of an alternate launch vehicle to provide initial cargo delivery capability in December 2011 instead of relying on the still immature new launch vehicle. “The SEB found this to be a weakness because the proposed use of the alternate launch vehicle still did not meet the cargo resupply requirements in 2010 nor most of 2011. I further noted that PlanetSpace did not propose to provide a full range of vehicle services until December 2013,” he added. 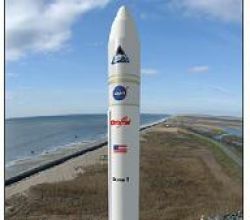 “I questioned whether the delay in full mission capability should have been deemed a significant weakness and whether this proposal could realistically launch pressurized cargo mission using an alternate launch vehicle by December 2011. The SEB responded that, per the RFP, an offeror providing the full range of capabilities would be considered a strength. “Also, the SEB stated that the initial launch in December 2011 was a weakness, due to its inability to provide resupply services during the first twenty-three months of the demand. 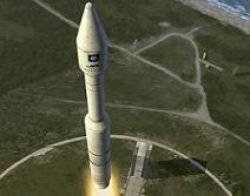 “It was my opinion that the use of the alternate launch vehicle was significant discriminator for selection purposes; PlanetSpace was the only offeror that proposed a configuration requiring verification and integration of its orbital vehicle with two launch vehicles to meet the requirements of CRS, which potentially increases the technical and schedule risk to NASA. Mr Gerstenmaier also appeared to class a SEB classification of “weakness” in PlanetSpace’s technical approach as an even larger risk, based on the need for heritage components to be re-qualified to meet the vibro-acoustic environment of the new launch vehicle. “The SEB indicated this was a general weakness; however, I felt re-qualification posed a significant technical challenge due to loads induced by the first stage solid rocket motor,” he noted. Another “weakness” also received similar treatment upon Mr Gerstenmaier’s evaluation, which surrounded the static envelope of the payload failing, which was increased without a change to the outside diameter. “It was my opinion that resolution of the fairing issue would be a significant technical challenge to PlanetSpace because changes in fairing design can drive changes to schedule and cargo environments and reduce upmass capacity,” he added. “After examining the technical subfactor, I studied PlanetSpace’s Management Approach carefully to verify whether I believed the offeror was capable of assuming the increased technical challenge to qualify an orbital vehicle for two different launch vehicles, re-qualify heritage components for use in the new launch vehicle configuration, and address the fairing issue,” Mr Gerstenmaier continued. “The SEB gave the proposal three significant strengths in the area of Management: for its management team’s key personnel and subcontractors; for providing additional information on and augmenting its teaming arrangement; and a strength for having an exceptionally effective and complete Safety and Health Plan. However, the strongest issue raised related to Planetspace and its contractor team – which includes Lockheed Martin, Boeing and ATK. Notably, none of these large companies are understood to be involved with the protest action. “The SEB identified five weaknesses associated with the PlanetSpace Management approach, three of which I found to be significant for purposes of selection,” noted Mr Gerstenmaier. “The first weakness involved the use of cost-plus subcontracts for the large subcontractors until first flight, subcontractors which were responsible for the majority of the work and would be addressing the technical difficulties identified in the proposal. “The SEB raised this issue during oral and written discussions because the finding was initially identified as a significant weakness in PlanetSpace’s proposal. PlanetSpace retained the same subcontract type in its Final Proposal Revision, but told the SEB it would manage this risk through incentives and cost controls. I believed the subcontracting structure still represented a significant risk to the successful performance of the program. “I believed it was extremely risky for PlanetSpace to have a fixed-price contract with NASA when most of the effort in the early stages of the contract would be performed under cost type subcontracts. Moreover, I questioned whether PlanetSpace could successfully manage much larger subcontractors responsible for the majority of the performance under the contract. Other issues that were deemed as a greater risk to NASA referred to concerns about how PlanetSpace addressed the issue of Licenses and Permits from the Federal Aviation Administration (FAA), among other items. Concluding the Planetspace segment of Mr Gerstenmaier overview, he asked the SEB if they agreed with him on his realigned findings noted in his comments, after he found his overview gave him “a very different picture from the one the SEB presented,” on Planetspace’s bid. “At the conclusion of the SEB’s briefing on the Technical and Management subfactors, I asked the SEB if they disagreed with my observations on the PlanetSpace proposal. The SEB responded that they understood my thinking; however, they did not believe their evaluation of the Technical subfactor in the PlanetSpace proposal could be influenced by the findings they made in the Management portion of the proposal. “The SEB told me it was their responsibility to evaluate each proposal in accordance with the evaluation criteria, something which prevented them from mixing the two subfactors in their evaluation. It was my responsibility to integrate the Technical and Management findings. The integration of these subfactors gave me a very different picture from the one the SEB presented. “The facts from the SEB revealed that the PlanetSpace proposal contained considerable technical risks due to use of two completely different rockets, the need to re-qualify heritage components, and the issue with the fairing margin. Each of these challenges could be met if the offeror had a strong Management approach; however, I concluded the considerable risk inherent in PlanetSpace’s Management approach made the likelihood of successful performance of this proposal remote. Mr Gerstenmairer continued by comparing Orbital’s bid with Planetspace’s bid, by applying the evaluation factors in weighing the relative importance of specific findings in deciding between the remaining offerors. “I compared these two proposals and noted PlanetSpace offered to provide a full range of services by the end of 2013, while Orbital offered to provide a full range of services in 2012. “The two aspects of the Management approach in the PlanetSpace proposal that particularly concerned me were 1) the fact that much of the work would be performed on large subcontracts on a cost reimbursement basis while PlanetSpace would be the prime contractor having a firm, fixed-price contract with NASA and 2) the fact PlanetSpace did not project it would recoup its sizable investment in the CRS program until close to the end of the contract. “These risks made me believe it was highly unlikely PlanetSpace would have the ability needed to address technical challenges in its proposal such as the re-qualification of heritage components to new launch vehicle environment, and the potential changes to fairing size to accommodate unpressurized cargo. “On the other hand, I found that Orbital, in its role as a prime, was enhanced by having sound and effective subcontractor management processes. This proposal was also augmented by Orbital’s significant strength for utilization of existing processes and tools to manage fixed-price spacecraft development, operations and repetitive production contracts. “In contrast, PlanetSpace had no relevant experience managing in a fixed-price environment on a contract with this level of complexity, which potentially presents a significant risk in their proposal. I was also concerned that the proposal did not contain a backup plan in the event one of the major subcontractors was unable to perform its sizable responsibilities under this proposal. “I concluded that the subcontracting team proposed by Orbital had a much smaller role since that team amplified Orbital’s extensive in-house experience in specific areas of the CRS requirements as opposed to being responsible for most of the technical aspects of the proposal as was the case with PlanetSpace. “Based on my assessment of the complexity and interplay of PlanetSpace’s technical and management risks, I had much higher confidence in Orbital’s ability to provide resupply services on a fixed-price basis. My opinion was bolstered by Orbital’s earlier availability of ISS cargo resupply services and lower schedule and technical risk. Effectively ending Planetspace’s chances of winning part of the CRS contract award, Mr Gerstenmairer explained that while mission suitability was more important than price – as noted in the RFP – he couldn’t even trade-off between Orbital and Planetspace, due to the his belief that Planetspace could not successfully carry out the contract in the first place. “Although I recognized the evaluation criteria provided that Mission Suitability was more important than price, I could not conduct “typical” trade-off analysis since I believed there was a low likelihood PlanetSpace could successfully perform the contract. Instead, I believed my decision was whether I would make one award or two awards. “Although I consider SpaceX a clear choice, I deemed it extremely important to the success of the ISS Program to select multiple suppliers to maximize the probability of ISS cargo resupply after retirement of the Space Shuttle. When considering multiple awards, a more robust approach to cargo resupply is required to ensure NASA does not have to reduce research nor reduce the number of crew members on ISS. “This assured timely access outweighs the downside of spreading budget across multiple contractors. CRS is a very complex service with high risk of performance. While the specifics of Planetspace’s legal protest have not been revealed, they will have to be able to ably prove the findings noted in the Source Selection Letter to be incorrect/inaccurate. It is understood the GAO has to rule within 90 calendar days by law.